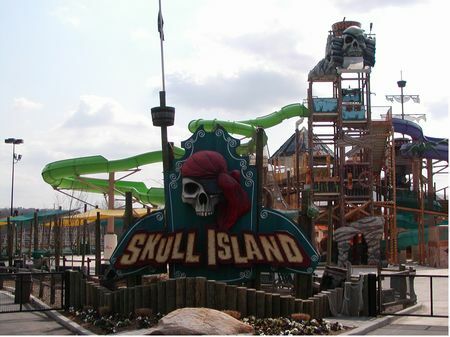 Paradise Island is a playground in Hurricane Harbor at Six Flags Over Georgia. It's worth seeing on a time-permitting basis. A large, interactive, water play structure. This area is open from Memorial Day through Labor Day, and closes one hour prior to the rest of the park.